Limited performance, but great mobility from this capable CULV laptop. 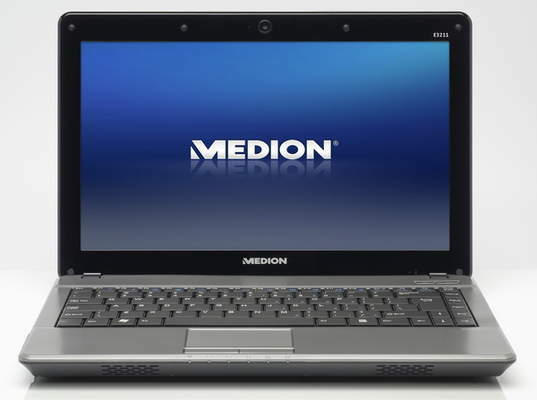 The Medion Akoya E3211 is a CULV laptop, or Consumer Ultra Low Voltage for the uninitiated. While it can't compete performance wise with many of the other laptops around this price, it is by far the most portable and will appeal to anyone who needs to work when regularly out and about. While the Medion Akoya E3211 can't compete power-wise, it is by far the most portable and ideally suited to those who need a portable partner to accompany them on the road. Netbooks have their uses, but sometimes an extra inch or two of screen can make all the difference. And with the help of more efficient components, such as an Intel ultra-low voltage (ULV) processor, we're now seeing decent battery life from such compact designs. 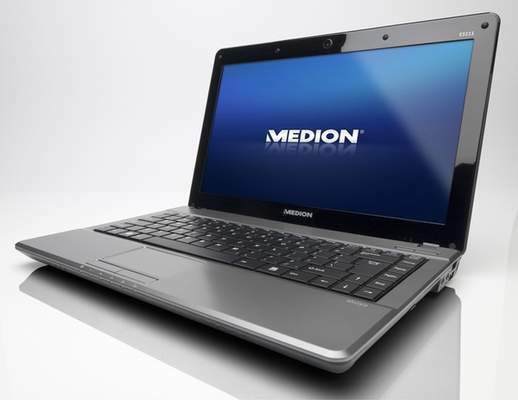 The Medion Akoya E3211 is a simple budget design that should appeal to anyone looking for something a little lighter and more portable than a full-size 15in laptop, but with more potential than an underpowered netbook. The Atom's quest to take over the world through netbooks has been largely unthreatened this year, as most rivals have yet to provide a similarly powered alternative at a low enough price. The closest competition comes from the growing band of low-cost ultraportables using Intel's ultra-low-voltage (ULV) processors. Its low price makes it a tempting portable, but it's not a large enough leap over a netbook to totally convince. Medion is best known for its range of low-cost computers, and at £499 its new Akoya E3211 laptop certainly fits into that category. With its low-powered specification and plain design, the Akoya E3211 does little to set pulses racing. And in terms of processing power, it's only a smidgen faster than most Atom-powered netbooks. That said, the 13.3-inch screen and large keyboard make it far more usable than a netbook, and if you're not planning on doing much more than word processing and web browsing it's reasonable value at £499. The Medion Akoya E3211 is a bit of a Jekyll & Hyde product. On light side it's cheap, well-featured, has decent battery life and offers an optical drive where competitors have none; on the dark it looks and feels like its price, has a poor keyboard and performance is lacklustre. If you've been looking at similar products but don't want to sacrifice a disc spinner, it's worth a punt, but we'd recommend waiting to see what else comes along. 'Unusual' is the first word that springs to mind when you consider the Medion Akoya E3211. It's an ultra-portable computer which uses Intel's CULV technology, usually found in the thinnest, lightest laptops that are currently making waves. However, despite including a DVD drive, it isn't yet a rival for the smallest laptops. However, a matte screen also helps it stand out from the crowd. An entry-level ultra-portable laptop, the Medion Akoya E3211 has some good ideas, including a matte screen that's increasingly a rarity. We would have preferred Medion to take the low-energy concept further, because the rather limited performances aren't really compensated for by good battery life. 723: Procesador de un núcleo con frecuencia baja basado en el núcleo Penryn, pero sin Speedstep. 64.5%: Una evaluación tan mala es rara. Difícilmente existen portátiles, que sean evaluadas peor.